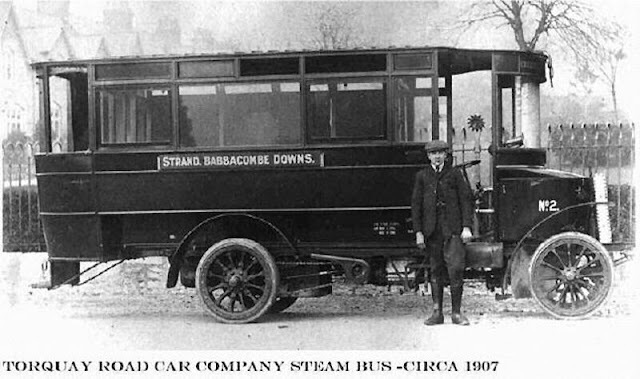 Not always detailed in brass, but nearly always surrounded by clouds of noxious steam (which some would say, adds to their mystique), these Victorian monster transports could seat many passengers in (rather dubious) style - but more importantly, these vehicles were not confined to rails and could go virtually anywhere. 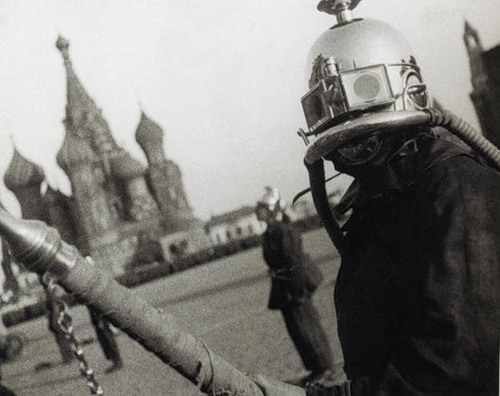 Today, you can rent them for your next romantic outing, but don't forget to supply your date with a good pair of goggles. 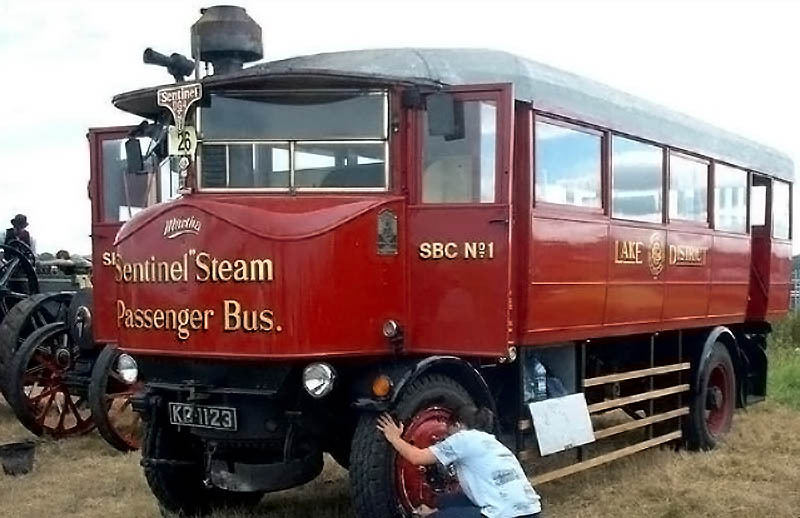 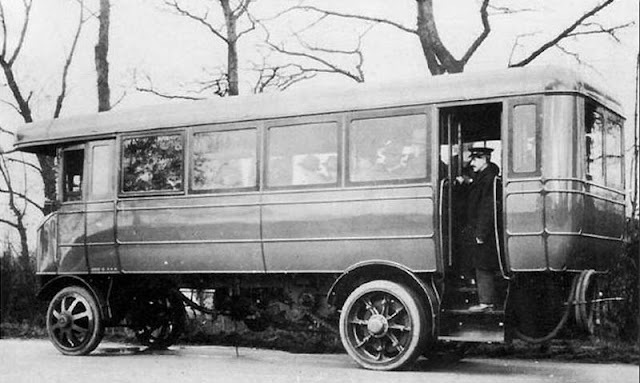 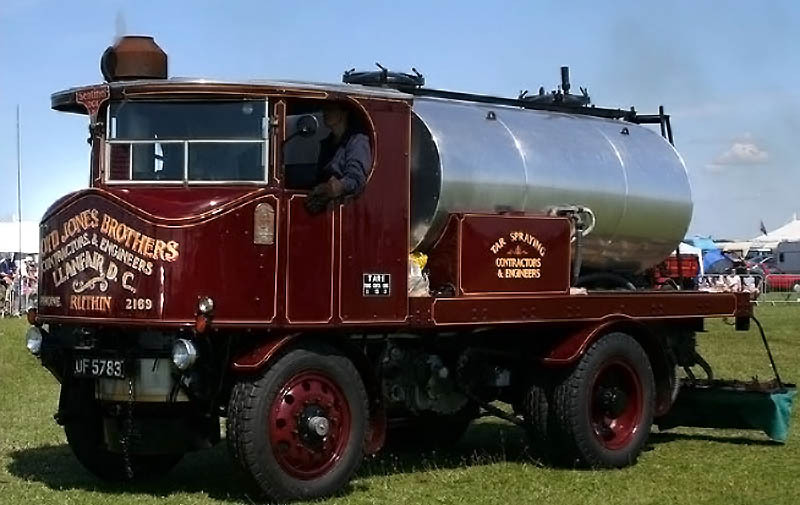 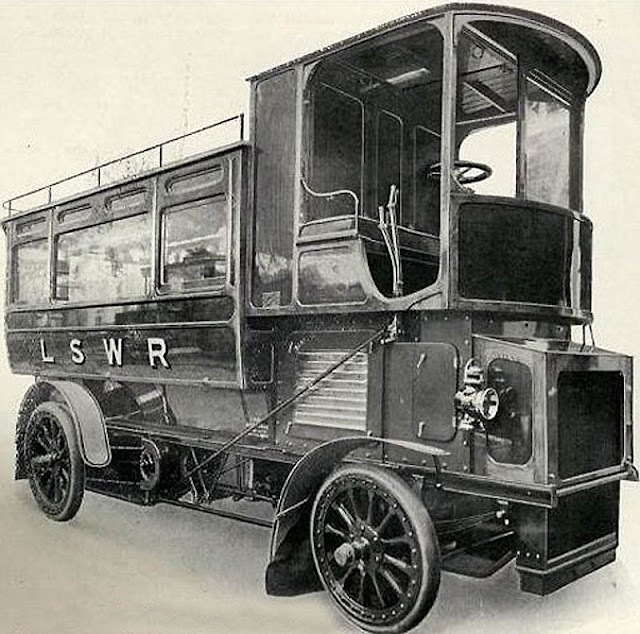 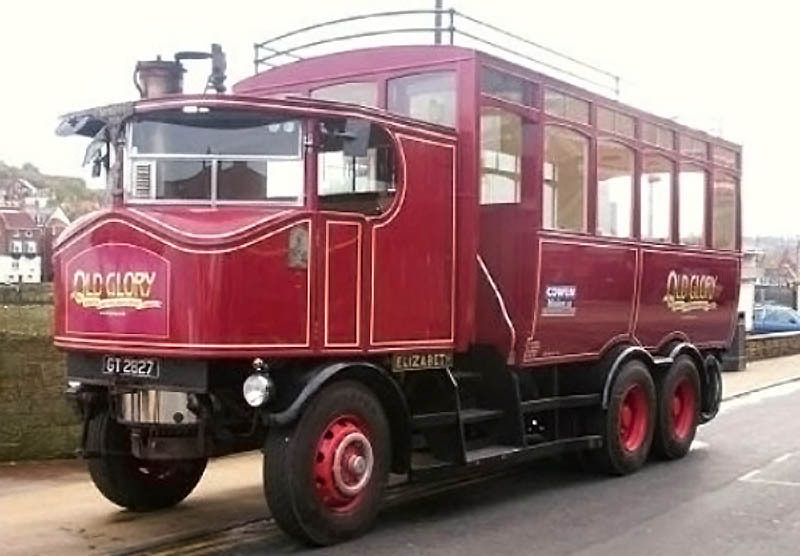 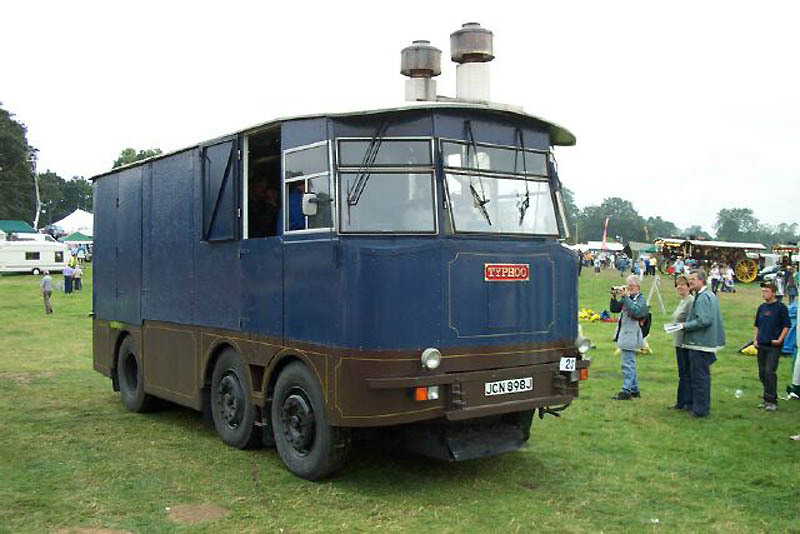 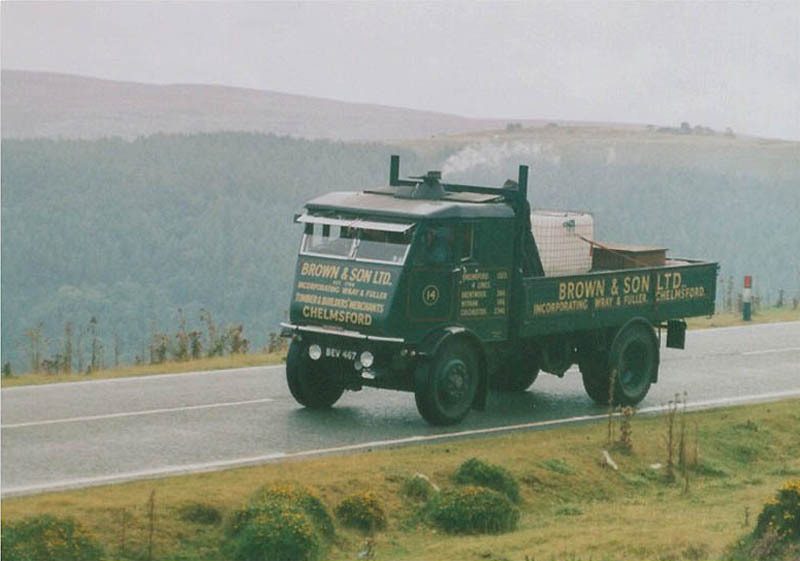 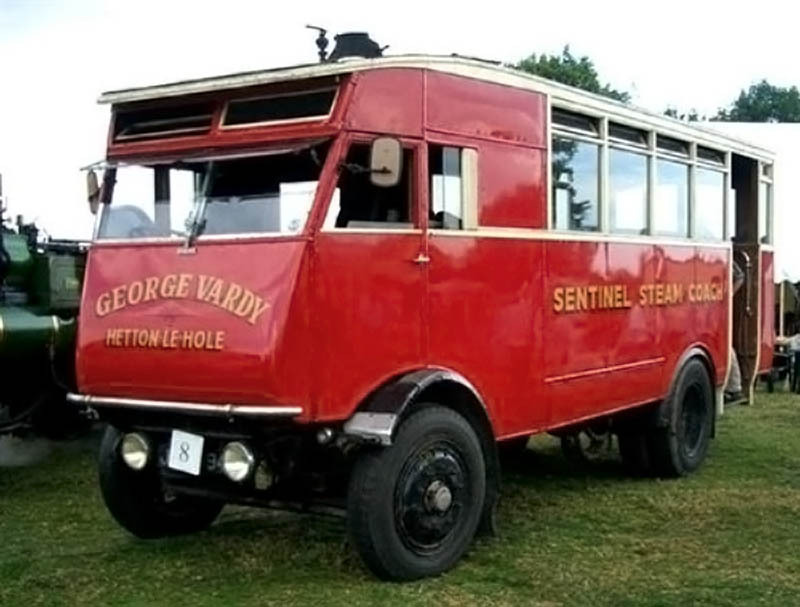 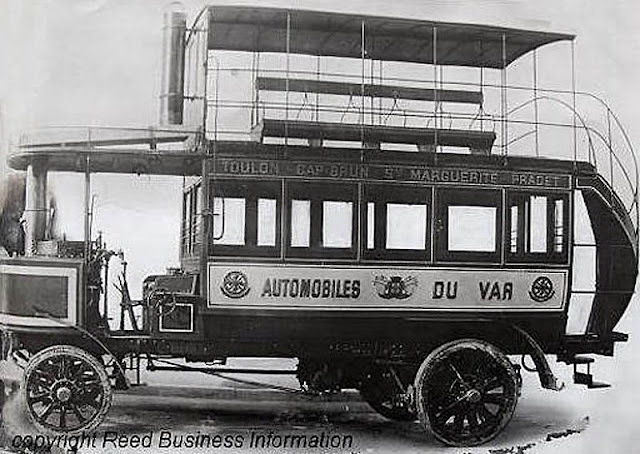 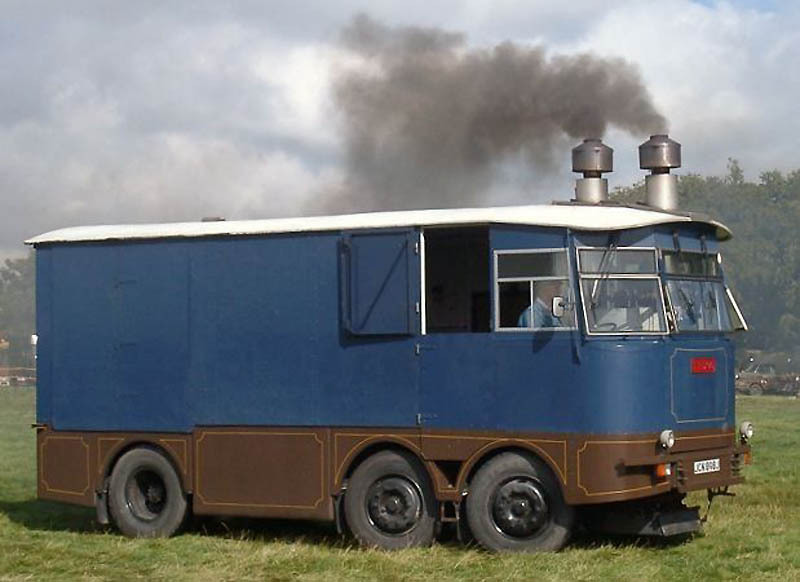 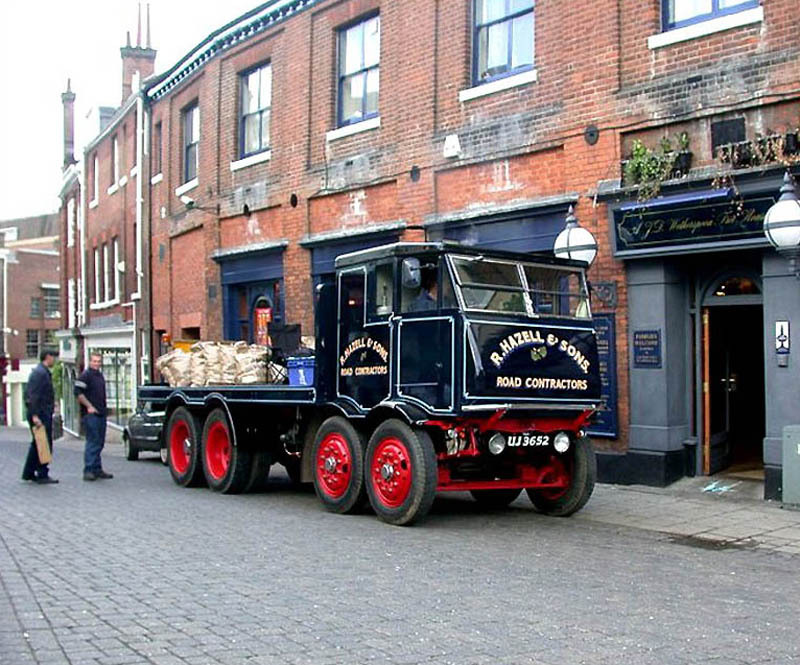 This bus took ten whole years to build: the Sentinel Typhoo is made from various tractor parts and is powered by a 100 horse power locomotive steam engine. This makes it already "more" than a tractor, somewhat "less" than a train, and to be sure, "exactly" a bus - a moving, "breathing" hybrid machine. All of this brings us to the no-less-fascinating... 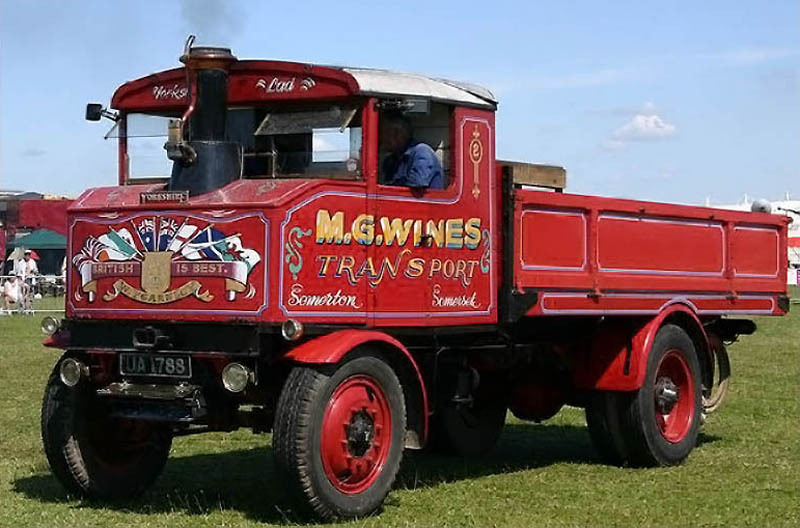 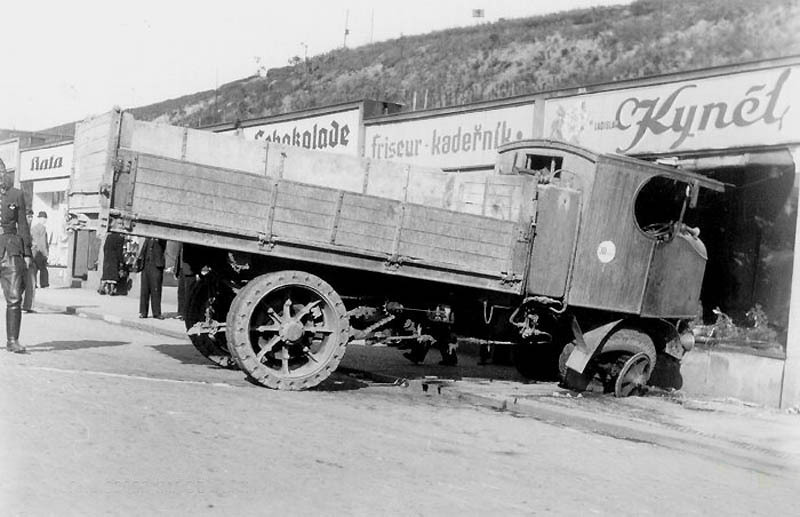 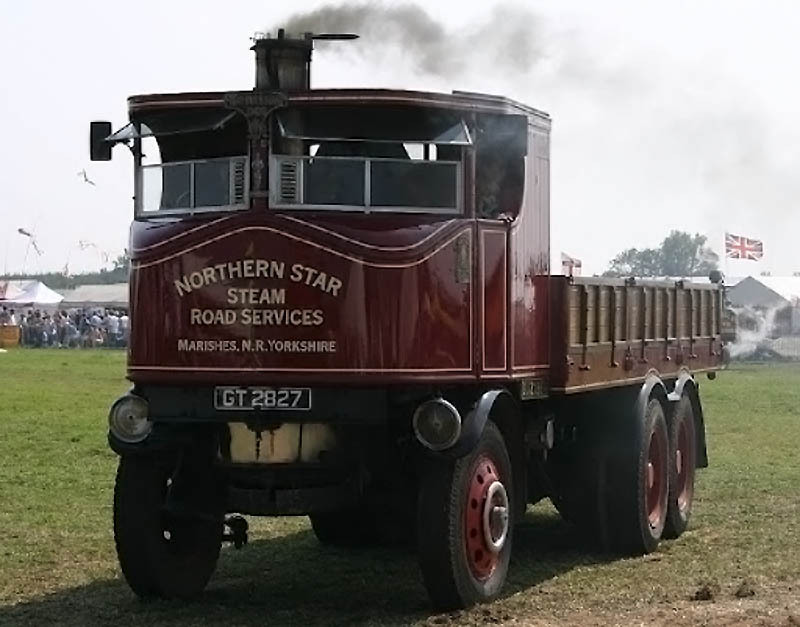 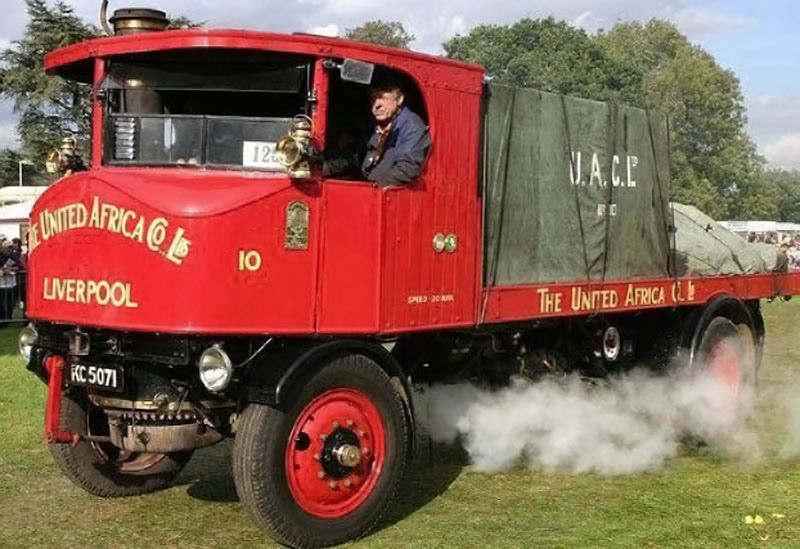 Steam Trucks! 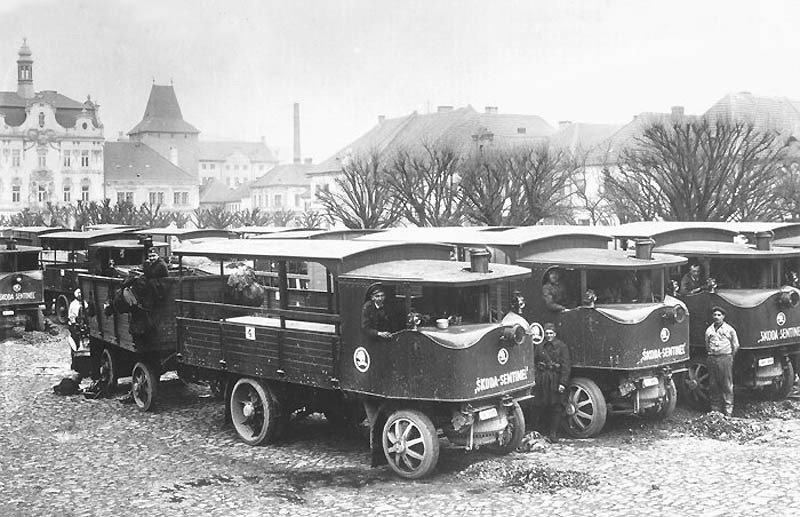 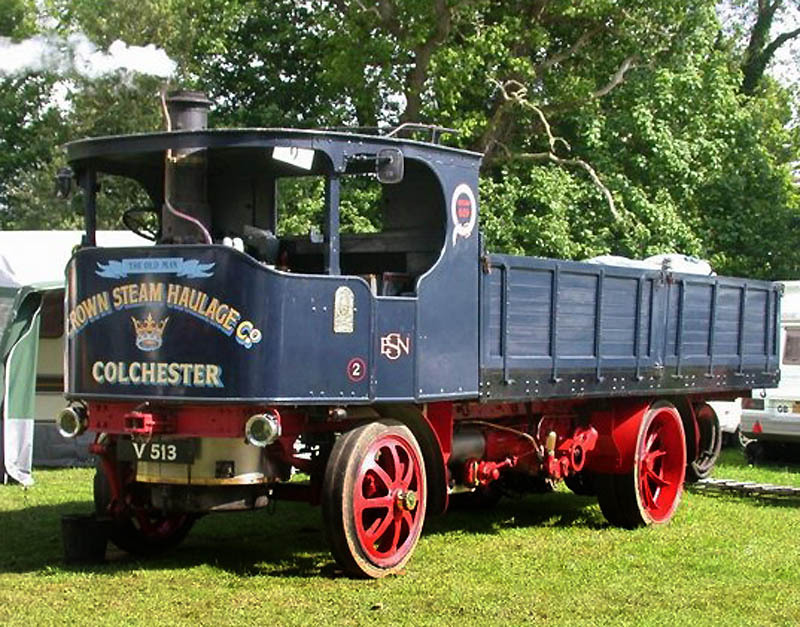 Road Locomotives: These were pretty curious beasts... many-wheeled vehicles with a steam engine taken from a train! 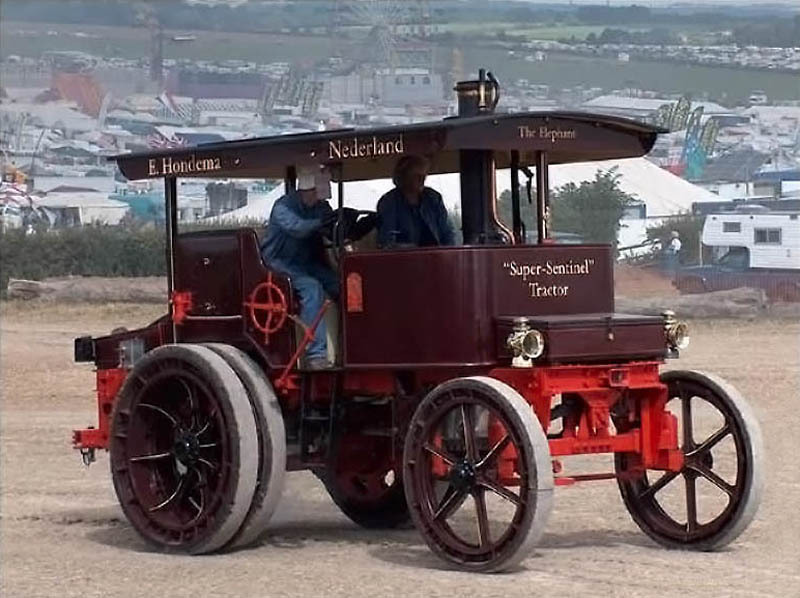 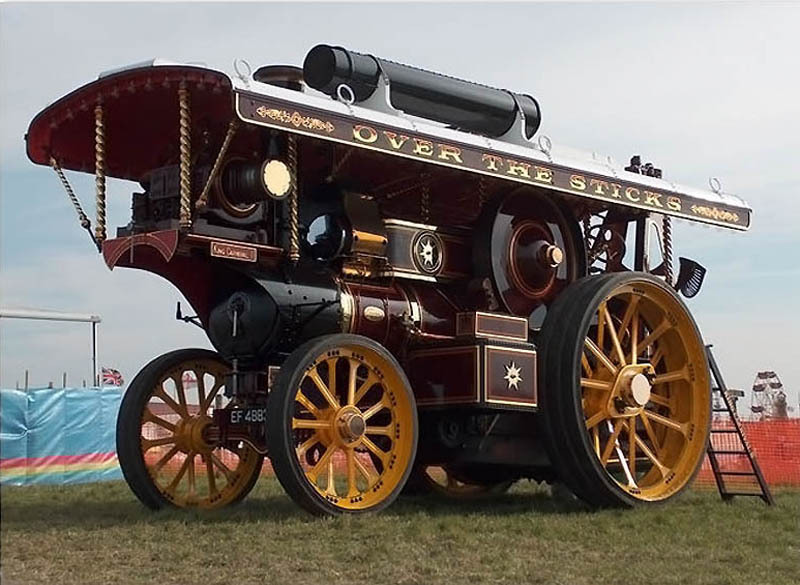 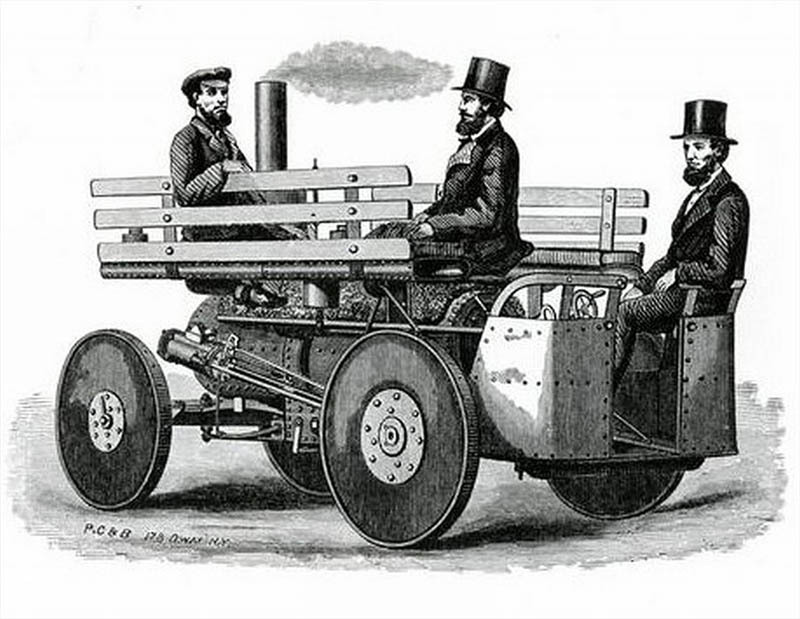 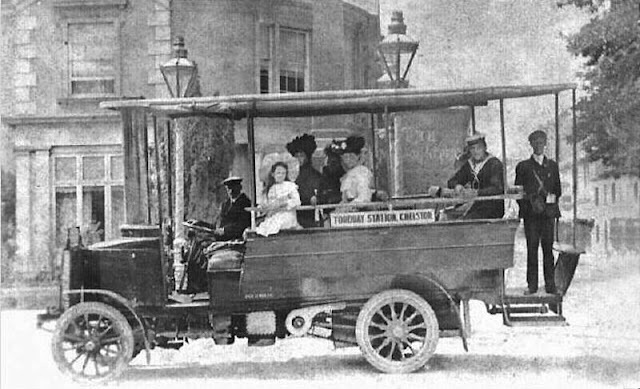 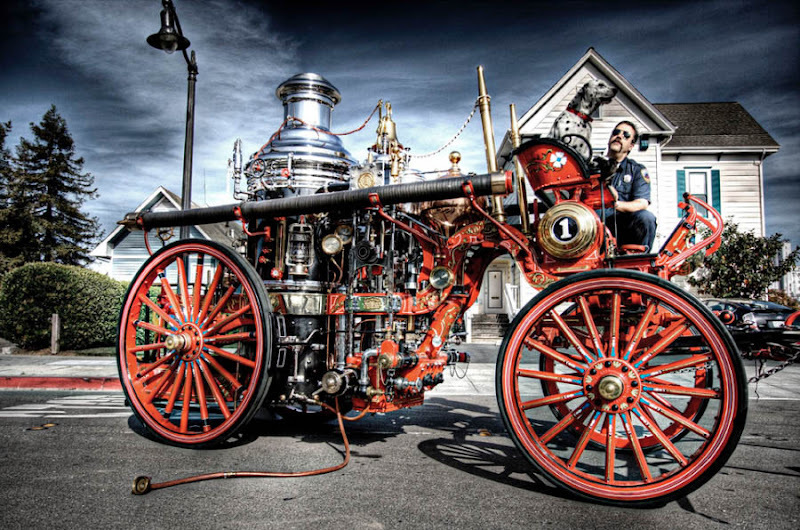 They were also called the "Showman's Engines", because often they were used to pull traveling circus attractions behind them... and when not moving, there were used as a power source for traveling fairs and carnivals. 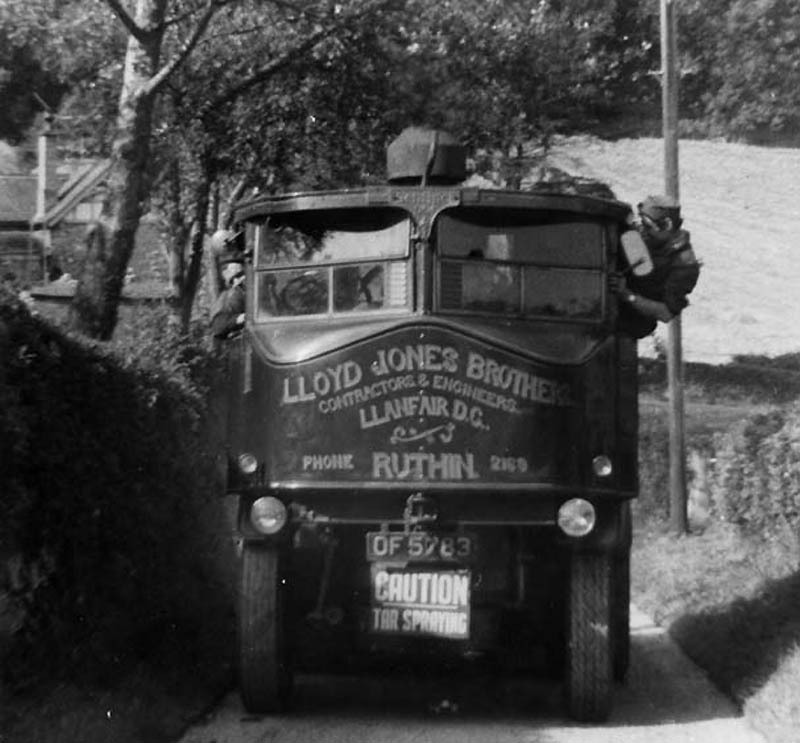 Driving back then seemed to be a piece-of-cake. 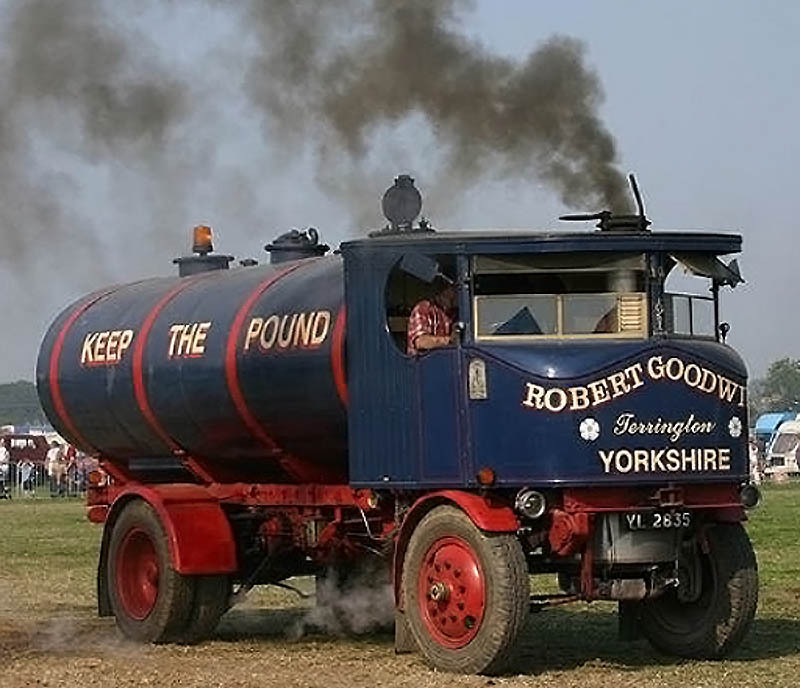 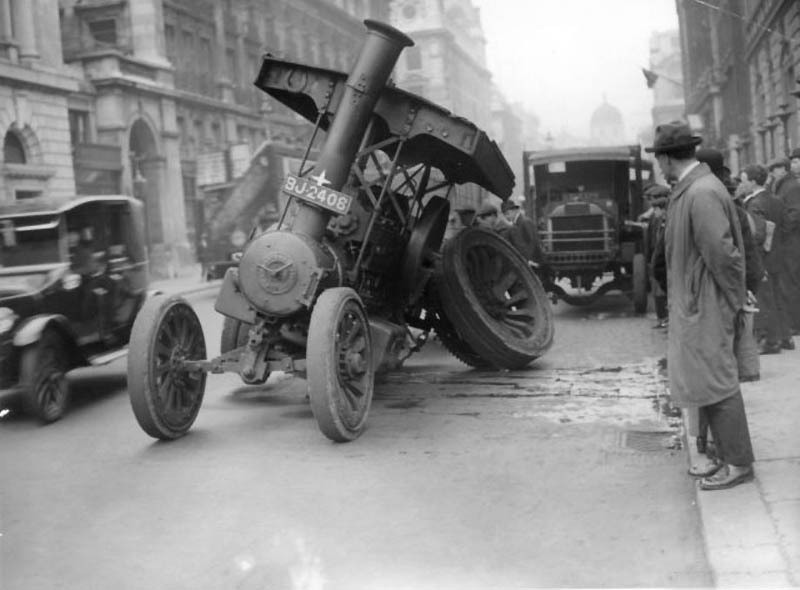 All you had to do was watch for dogs, chickens (and occasional cows)... be careful not to "run out of steam", and not to break the government-imposed maximum speed limit, which (in some cases) was a scorching five miles an hour! 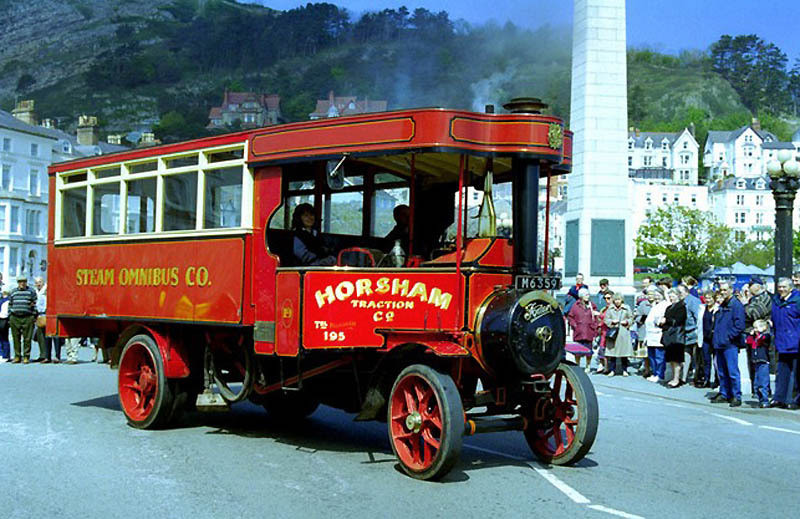 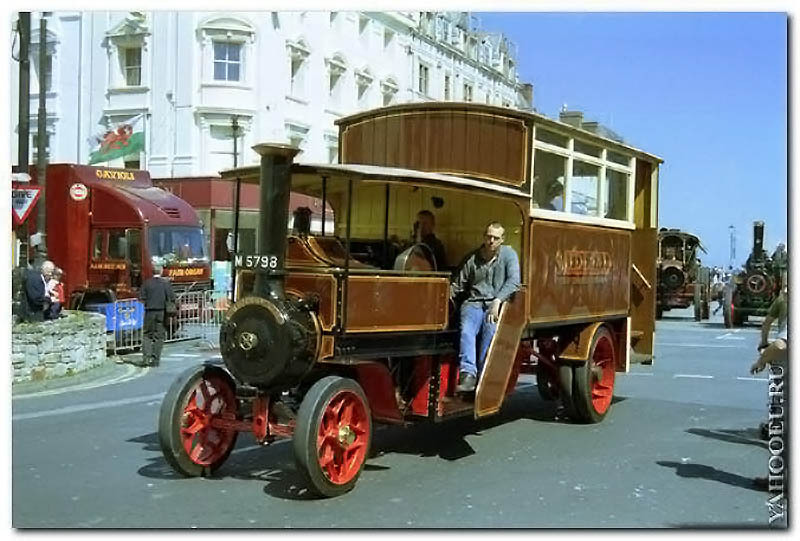 Whilst I have no problem with you using two Torquay steam bus photos from my web site I would prefer them to be credited to me. 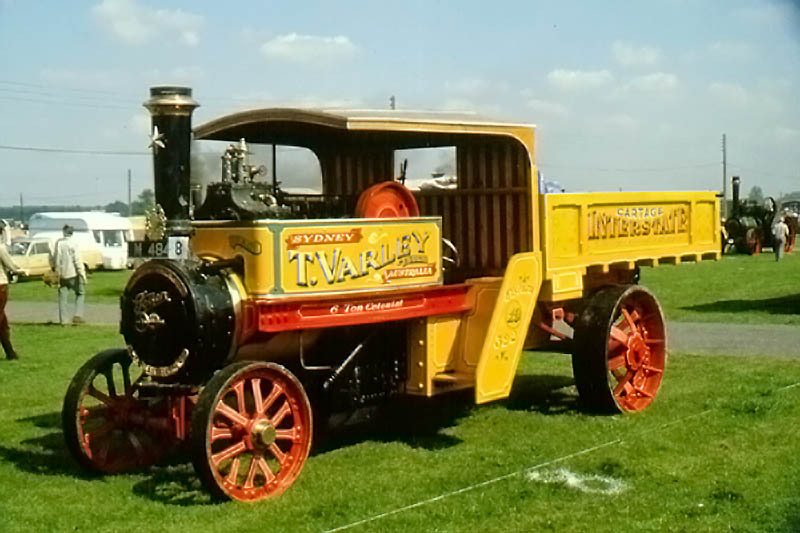 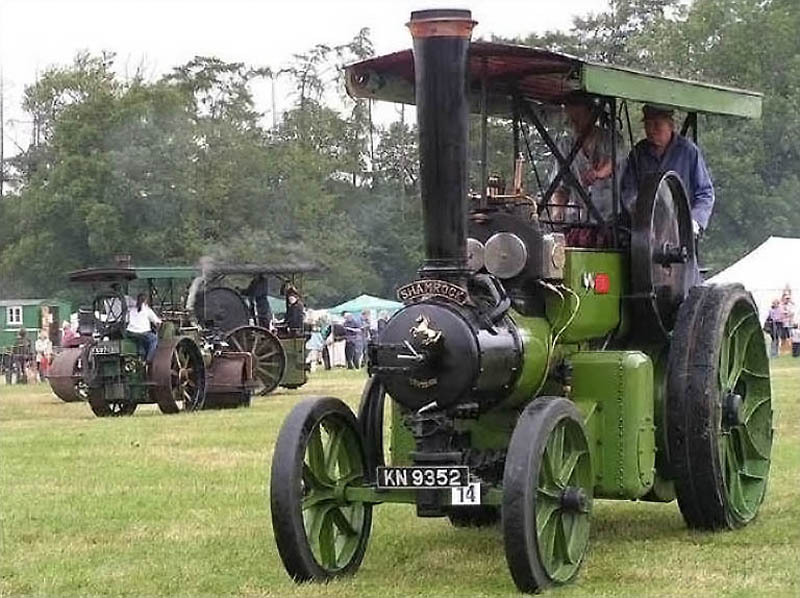 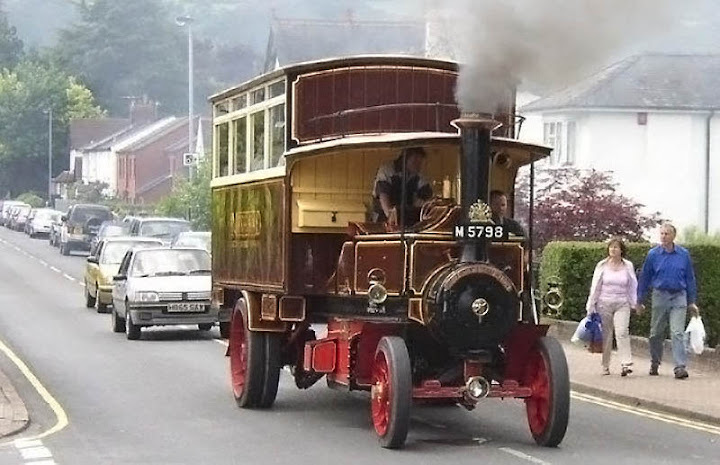 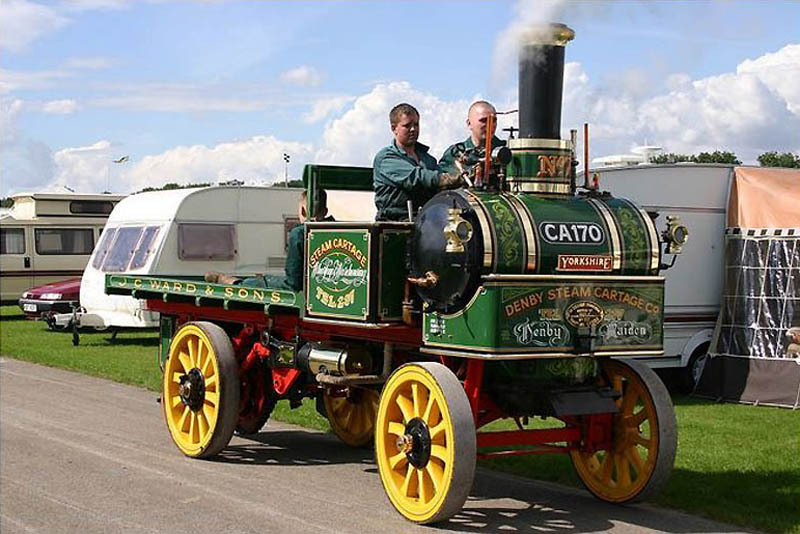 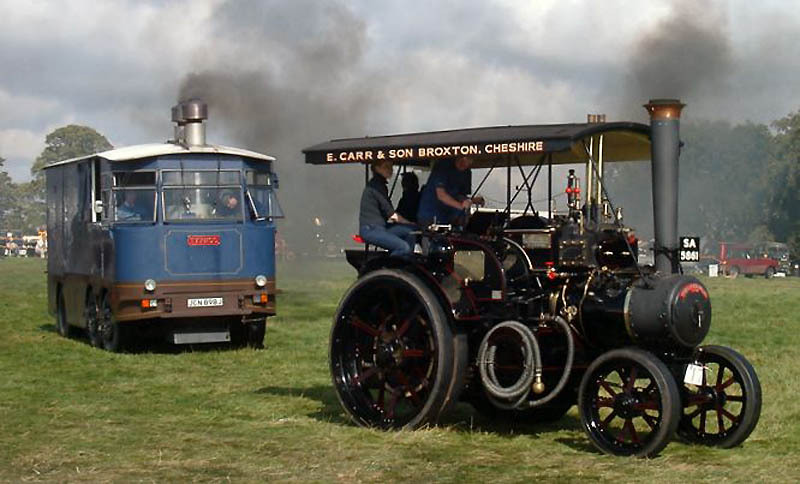 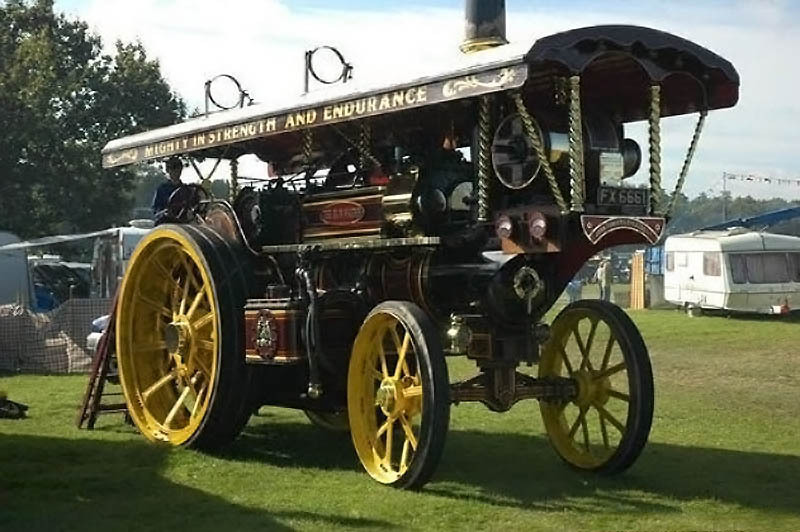 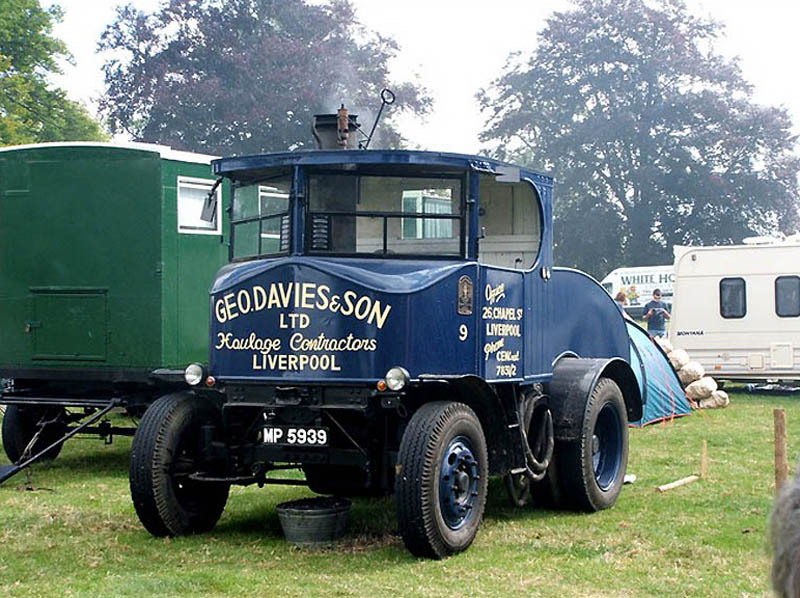 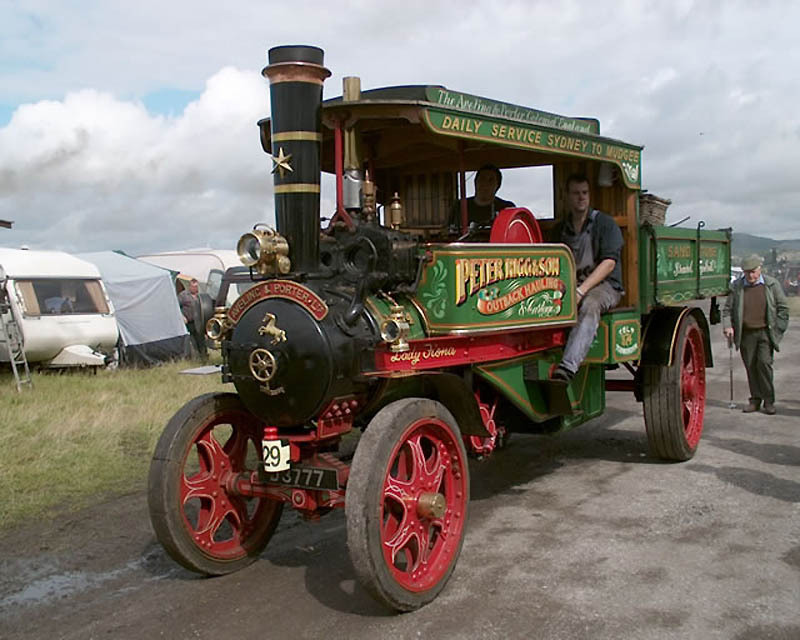 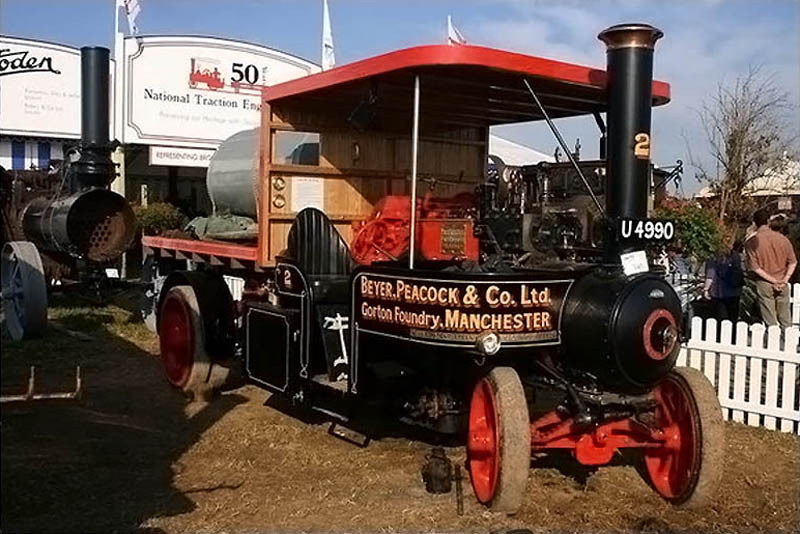 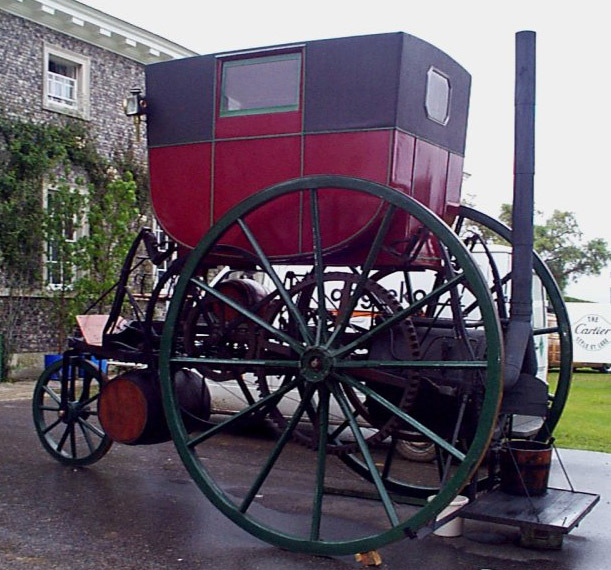 How about a steam powered motor caravan?